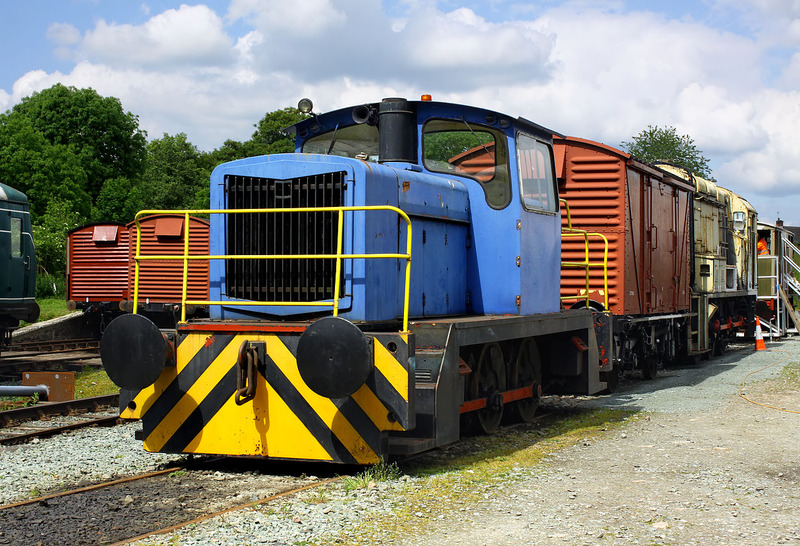 English Electric 0-6-0DH D1230 Kimberley stands in the sunshine at Llynclys at the Cambrian Heritage Railway on 4 June 2012. Built at the Vulcan Works in 1969, this locomotive had previously seen use with the National Coal Bard, and latterly Tibbett & Britten. Behind it can be seen Class 08 D3019.